Microprocessor is the controlling unit of a micro-computer that fabricated on a small chip capable of performing ALU (Arithmetic Logical Unit) operations and communicating with the other devices connected to it. 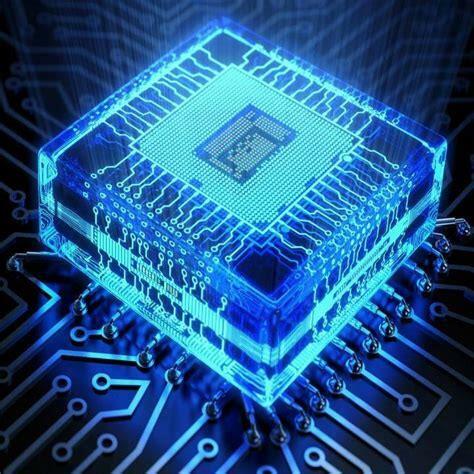 A microprocessor may be a processing unit on a single chip. These are also called as the Central Processing Unit (CPU) the brain of all computers and many household and electronic devices. These are an integrated circuit that performs the core functions of a computer CPU. It is the multipurpose programmable silicon chip constructed by using Metal Oxide Semiconductor (MOS) technology which may be clock driven and register based. This accepts binary data as input and provides output after processing it as per the specification of instructions stored in the memory. These microprocessors are capable of processing 128 bits at a time at the speed of one billion instructions per second. RISC-: It stands for Reduced Instruction Set Computer. It is a of microprocessor architecture that is designed to reduce the execution time by simplifying the instruction set of the computer. By using RISC processors each instruction requires only one clock cycle to execute results in uniform execution time. RISC chips are simple to design and inexpensive. This reduces the efficiency as there are many lines of code, hence more RAM is needed to store the instructions. The compiler also has to work more to convert high-level language instructions into machine code. CISC-: It stands for Complex Instruction Set Computer. It may be designed to minimize the number of instructions per program and ignoring the number of cycles per instruction. The emphasis is on building complex instructions directly into the hardware. The compiler do very little work to translate a high-level language into assembly level language/machine code because the length of the code is relatively short, so very little RAM is required to store the instructions. EPIC-: It stands for Explicitly Parallel Instruction Computing. The working of EPIC processors are supported by using a set of complex instructions which contain both basic instructions as well as the information of execution of parallel instructions. It substantially increases the efficiency of these processors.